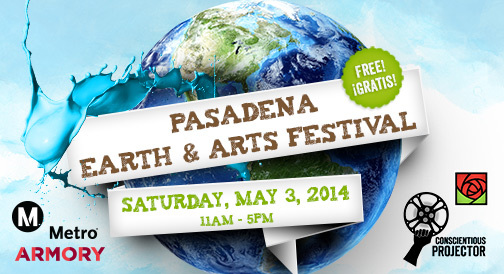 After celebrating Union Station’s 75th Anniversary, check out the 12th Annual Pasadena Earth and Arts Festival in Old Pasadena! Located at Memorial Park and the Armory for Center for Arts, this free event will have plenty food of entertainment for the whole family while educating everyone on the importance of going green. The festival will be open from 11 a.m. to 5 p.m.
Be sure to show your TAP card at the transportation booth to receive a free reusable tote bag, perfect for carrying all the goodies you’ll be picking up. To get there, hop on the Metro Gold Line to Memorial Park Station. For more routes and connections, use Trip Planner.